Local DQs are ready for Miracle Treat Day – Dairy Queen Corp. Miracle Treat Day is Thursday, July 27! 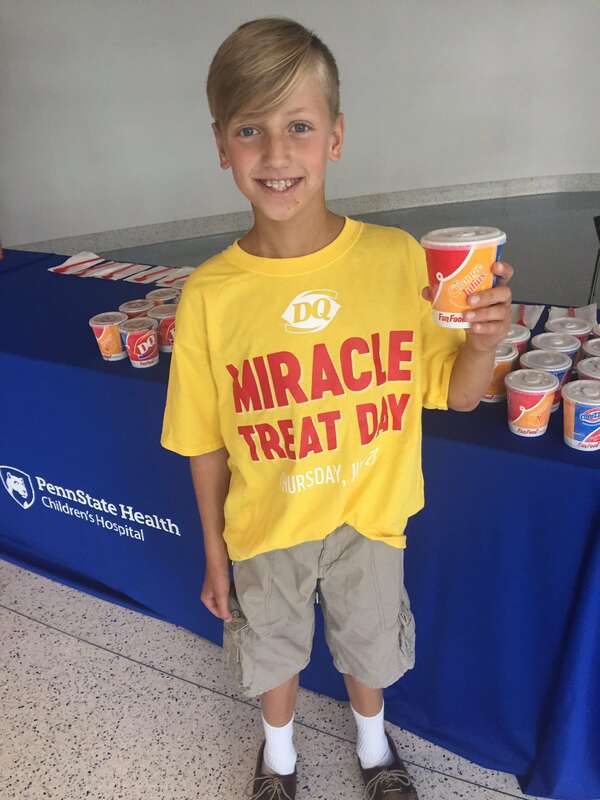 Local Dairy Queens will donate $1 or more for every Blizzard Treat sold to ‪#‎CMNHershey to help kids at Penn State Children’s Hospital. Help us spread the word! Post on Facebook, rally your co-workers and share your Blizzard photos on social media with the hashtags #MiracleTreatDay & #CMNHershey. 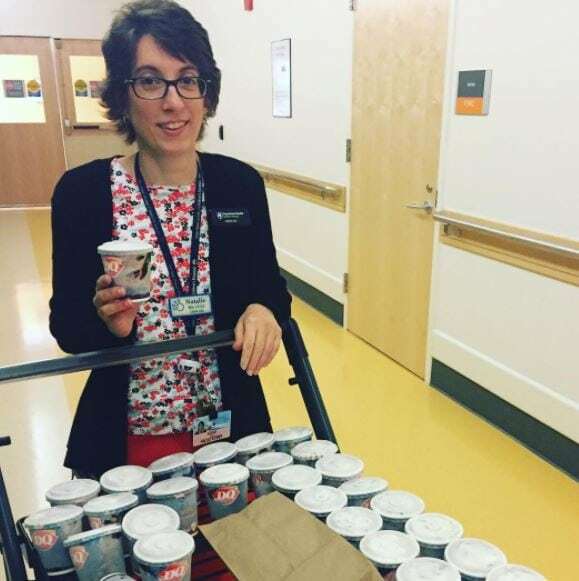 To make sure our patients didn’t miss out on the fun, DQs from York, Middletown and Palmyra brought free Blizzards today to patients and families. Miracle Child Corbin helped sell them to employees too. How cool! Previous post: #MiracleTreatDay is TOMORROW! Next post: Happy Miracle Treat Day 2017!